North of Inverness is the peninsula known for some reason as The Black Isle (it is neither black nor an island). To reach the Black Isle, take the A9 northbound and cross over the Kessock Bridge. North Kessock is the first village. There are forest walks at Ord Hill and a great view over the Moray Firth towards Inverness. Our Local Larder is a useful directory of local food producers and suppliers on the Black Isle including restaurants and cafes. Wildwoodz Paintball Park is 2 miles down the Fortrose/Cromarty A832 road from the Tore Roundabout. Tel: 01381 622220. The Black Isle Brewery a small independent organic brewery which is open 10am - 5pm Monday to Saturday all year and and also 11am - 5pm on Sundays from April to September. You'll see the sign to turn off the A9 halfway between the Kessock Bridge and the Tore roundabout. Tel: 01463 811871. Strathpeffer VW Campervan Hire have a range of T25 Autosleeper Trident campervans (sleeping up to 4). Tel: 01997 421195 / 07527 276894. Based on the Black Isle Andrew's Car Private Hire is licensed for up to 6 people. Andrew McCallum covers all areas around the Black Isle, Dingwall and Inverness. Mob: 07818 697 609 / Tel: 01349 877 547. Grave of Sir Alexander MacKenzie. Explorer of the North West Territories of Canada, he gave his name to the MacKenzie River. Born in Stornoway on the Isle of Lewis, he came to Avoch when he retired and was buried in the old churchyard in 1820. Heritage exhibition. Dolphin Trips Avoch provide daily boat trips in the summer from Avoch harbour. Telephone 01381 622383 or 07779 833951. Famous place for spotting the Moray Firth dolphins from the shore. On the opposite side of the firth is the historic military base of Fort George. 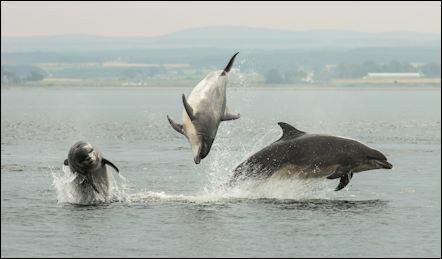 To ease parking for the large number of visitors attracted by the dolphins, there is a shuttle bus service running in a loop from Rosemarkie to Fortrose and Chanonry Point from Easter to end August 2018. The Fortrose & Rosemarkie Golf Club is also set around Chanonry Point. The lighthouse is near the site of the burning at the stake of the Brahan Seer, famous for his prophecies in the 1700s. 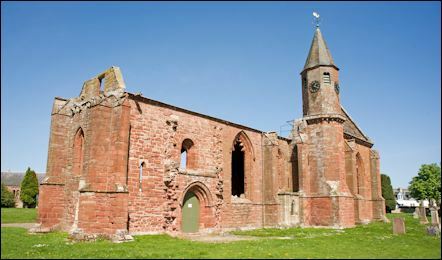 Red sandstone houses, ruined cathedral, golf course. The Fortrose and Rosemarkie Community Council web site has more local info. The Anderson in Union Street offers good food and drink in the restaurant and bar, and accommodation in 9 guest rooms. Tel: 01381 620 236. Also try the IV10 cafe and deli which also opens for evening meals in High Street and the family-run Fortrose Cafe (especially good for vegans and vegetarians). Groam House Museum has an excellent collection of Pictish carved stones, some of which date from the 8th century. You can make rubbings of Pictish symbols, play the reconstructed harp, watch the video about the Picts in Ross-shire, browse through the photo collection, leave the kids to watch a cartoon and visit the gift shop. Open from end March to end October, Monday to Friday 11am to 4.30pm, weekends 2pm to 4.30pm. In November, the museum is only open on Saturdays and Sundays from 2pm to 4pm. Tel: 01381 620 961. Crofters Bistro is a nice place to eat (tel: 01381 620844). The Rosemarkie Sea Caves have been the subject of several archaeological digs with some interesting finds. Some are more easily accessible than others (either from the beach or the cliff top paths). Fossils can also sometimes be found along the coast around here. Rosemarkie Beach Cafe is open daily from the end of March to the end of October, then weekends over the winter. Fully wheelchair accessible. Free parking and free toilets. Free exhibition about the local area and wildlife. From here you can walk the 'Dolphin Mile' from to Chanonry Point and back and look out for bottlenose dolphins in the bay. An 18th century fishing port which got somewhat left behind by the Industrial Revolution. It is the best preserved 18th century village in the Highlands. As such it has many old buildings, including Hugh Miller's thatched cottage built in 1711 and now in the care of the National Trust for Scotland. The award-winning museum at the Cromarty Courthouse is not to be missed. You come face to face with animated figures that you can control (the first of their kind in Scotland). Why not join the jury and dress in 18th century costume? The Courtroom is open daily from 10am to 5pm from April to October and by appointment the rest of the year. Tel: 01381 600 418. Since this is an old building (it was built in 1773), disabled access is limited. Cromarty has lots of original and quirky shops, and is also a haven for artists. Just off Shore Street, Gallery48 has a wide range of local crafts, gifts, paintings and prints. Next door is Barbel Dister's Cromarty Pottery (tel: 01381 600701) is open daily in summer, but closed on Mondays in winter (also closed all January). The town has a bakery, grocer, antique shop, coffee shops, cash machines and hotels. The Old Brewery (established 1776) is now used for events by the Cromarty Arts Trust. The East Church (no longer in use) is open daily to visitors. Renowned restaurant Sutor Creek (tel: 01381 600855) with its wood-fired pizza oven is near the harbour. Its sister cafe is Couper�s Creek (lunches, cakes and ice cream) is in Church Street. 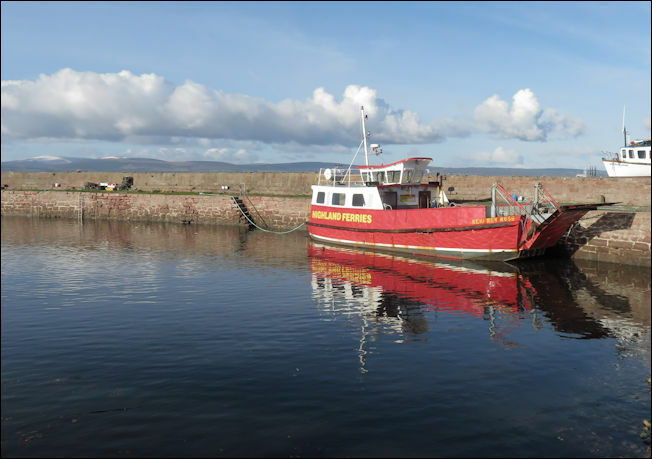 The Cromarty - Nigg ferry service is on the 'Renfrew Rose' which can take 12 passengers and 2 cars. Operates daily from June to October, every half an hour. Open daily April to October, Nigg Old Church contains an interesting 8th century Pictish cross-slab. The Cromarty lighthouse was built by an uncle of Robert Louis Stevenson in 1846. 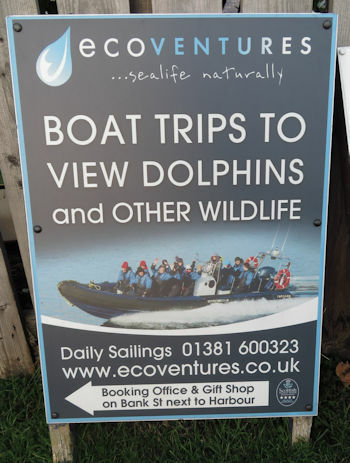 EcoVentures offer trips in a high speed RIB to see bottlenose dolphins, seals, whales, etc. in the Cromarty Firth. Maximum 12 passengers. Bookings can be made through The Dolphin Centre at the Harbour Workshop, Victoria Place, Cromarty (by the harbour). Telephone 01381 600323. Bike hire is available from Black Isle Bicycles (tel: 03181 600724) at the Cromarty Cheese House (located in the Old Police Station - you can see the old cell for prisoners). For local information, check out Cromarty Live which includes details of local events. Also visit the Cromarty Image Library and the interactive tour of Virtual Cromarty. An energetic scramble over the rocks to the east of Cromarty will take you to the Drooping or Dripping Cave, so called because of the stalactites formed on its roof. Local legends speak of a mermaid being seen outside the cave. The Moray Firth Trail is an interesting network of footpaths and trails which includes walks near Cromarty, Avoch, Rosemarkie, Dingwall, Strathpeffer, Tain and many other places. Car parking is available in the town centre which is often well decorated with floral displays in the summer months. The town has won awards in the Britain in Bloom contest on more than one occasion! Corner on the Square is a deli and eatery in Beauly. It specialises in Highland and Scottish products and has a great range of cheeses and cooked meats from local sources and continental suppliers. Phone 01463 783000. Take a peek in Campbell's shop which sells tweeds, sweaters and gear for the fishing/hunting brigade. Established in 1858, they hold the Royal Warrant by appointment to H.M. The Queen. The Bright Beauly Fair is on 10 August 2019 showcasing local arts, crafts, food and drink. 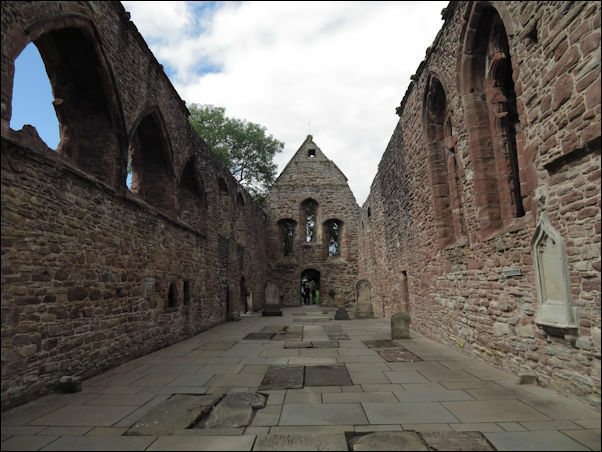 Just off the High Street, you can visit the ruins of Beauly Priory built by French monks in 1230. Open daily. Free access. Owned by Historic Environment Scotland. It includes tombs of the Mackenzie family. 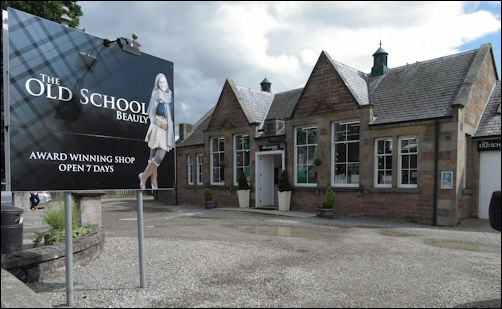 Near the priory ruins is The Old School, Beauly which is a great gift shop spread over several rooms (fashion, homeware, jewellery, children's, music, etc.) with a whole room devoted to books (plus coffee machine and seats). Toilets available. Open 9am to 5.30pm Monday to Saturday, plus 12-5pm on Sundays. Tel: 01463 783 273. Beauly Gallery & Gifts and The Kirk Coffee Shop are both located in a converted 18th century kirk just 1 mile south of Beauly on the A831 (Glen Affric road). Well worth a visit! The shop has a large selection of Scottish arts, crafts and gifts, many of which are locally made. Regular exhibitions and events are held in the gallery, including demonstrations (such as painting, weaving and other crafts). Also available is a huge range of photographic equipment and cameras. The coffee shop sells home baking and snacks. Tel: 01463 783 508. Just half a mile north of Beauly is Robertson�s The Larder - Tomich Farm Shop which has a variety of produce for sale and is open all year (Monday to Saturday 10am to 5pm and Sunday 12am to 4pm). They also have a Children's Farmyard which is open from Easter until the end of October for a small entrance fee. Tel: 01463 782181. 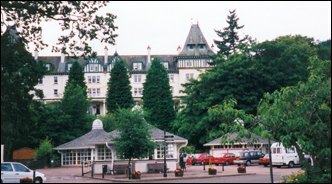 Hotels in Beauly village square include The Priory Hotel and the Lovat Arms. Aigas Field Centre offers holidays specialising in wildlife and walking for individuals and groups. Accommodation provided. Trips to Western Isles, Skye, Orkney and Shetland, and tailor-made holidays also available. The centre also provides environmental education for school children. Over 30 years experience. Featured on the Johnny Kingdom TV programme. Aigas Golf Course (9 holes) is part of a family farm with self catering cottages set between the Aigas forest and the river Beauly (one of Scotland's famous salmon rivers). Telephone: 01463 782942. About 5 miles outside Beauly. From Beauly you can take the back road across country to visit Glen Affric and Strathglass (and also Drumnadrochit on Loch Ness). 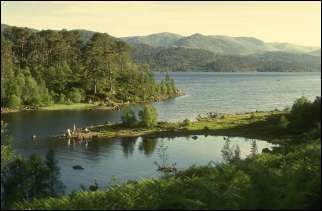 Don't miss a detour into this beautiful scenic area around Cannich for walks by Loch Affric and Loch Mullardoch. Plodda Falls can be found 3 miles from the village of Tomich - follow the waymarked walk. Between Cannich & Tomich, Kerrow House (once home to the famous author Neil Gunn) offers B&B and has various self catering accommodation in the grounds. 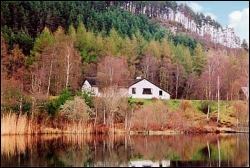 Tomich Holidays on Guisachan Farm offer a variety of self catering properties. Located by Muir of Ord, between Beauly and Dingwall. Open all year. The last guided tour is 1 hour before closing time. Shop, exhibition, guided tour (admission charge). Tel: 01463 872004. Visit the Glenord web site. The Black Isle Show take place each August at Mannsfield Showground, Muir of Ord (tel: 01463 870870). This is the largest agricultural show in the North of Scotland. It attracts over 2,000 cattle, horse and sheep entries, more than 300 trade stands and over 25,000 visitors to the show each year. There is plenty to see and do, craft fair, food fair, 'On the Farm' exhibition for the kids, agricultural stands, vintage rally and sheep shearing. Fairburn Conference and Activity Centre offers multi-activities including archery, paintball, Lazertag, aerial runway, tree climbing, abseiling, ropes course, canoeing, raft building, mountain biking, orienteering, etc. Full day or half day sessions. Weekend packages for families, couples and groups with full board, accommodation and activities. Residential School Activity Weeks. Accommodation in ensuite bedrooms or bunk bed facilities for residential groups. Also available for birthday parties, team building, weddings, etc. 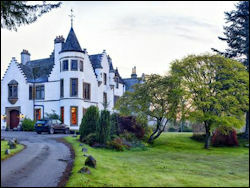 Located 2 miles from Marybank and 6 miles west of Muir of Ord. Tel: 01997 433397. Hillview Park B&B at the edge of Muir of Ord has 3 ensuite bedrooms. Contact Mrs Catherine Peterkin. Tel: 1463 870787. 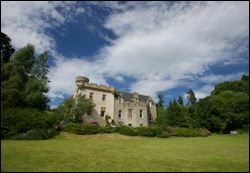 Chestnut Villa B&B offers luxury Bed & Breakfast accommodation in Muir of Ord. It has 3 ensuite bedrooms, including a family room for 4 people. Contact Mrs Mina Keir. Tel: 01463 870587. Market town whose name originates from the Norse words "Thing vollr" or "Place of the Parliament". Attractions include the museum of local history, the memorial to novelist Neil Gunn and the monument to General Sir Hector MacDonald. Leisure centre & pool, bowling club, tennis courts, campsite. Dingwall has free public WiFi thanks to Highland Council. Log on with your social media details or by entering your email address. Built in 2017, GlenWyvis Distillery (community-owned) has been constructed up on a hillside overlooking Dingwall. You can visit 'BaseCamp' (in the Victoria Restaurant in Dingwall High Street, closed Mondays) to learn about the area's whisky history, see live webcams of the site and buy whisky/gin. You can also take a whisky heritage tours in the summer. Overlooking Dingwall is 12th century Tulloch Castle - now a hotel with restaurant (and ghost!). Just over 3 miles south-west of Dingwall lies the site of the now demolished Brahan Castle (private estate now with holiday cottages). The Storehouse of Fowlis with restaurant and gift shop at Evanton (south of Dingwall) is open daily. Tel: 01349 830038. 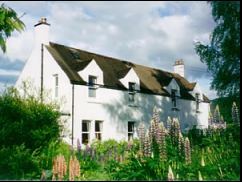 Knockbain House offers top quality B&B accommodation on a 700-acre farm just 1 mile outside Dingwall. Evening meals by arrangement. Contact David & Denise Lockett - tel: 01349 862476. Made popular by the Victorians who came to 'take the waters' from the 5 wells, the town is now visited by tourists and has a variety of B&Bs and hotels, and several shops. The annual Victorian Day usually takes place on the second Saturday in June. Visit the Strathpeffer village web site for local info. The original Pump Room now includes an exhibition with video and life size models, gift shop, tourist information, and treats by The Real Sweets & Gift Company. Open daily (closed Sunday/Monday in winter). Overlooking the pretty town square, the Strathpeffer Pavilion has been restored and hosts a varied entertainment programme, concerts, conferences, exhibitions, weddings and other functions. It also has its own restaurant (RedPoppy). The other main visitor attraction is the Highland Museum of Childhood located in the old railway station. Cycle hire available from Square Wheels (Tel: 01997 421000). There is a Community centre with fitness room and golfers may enjoy the Strathpeffer golf course. Trout fishing available. 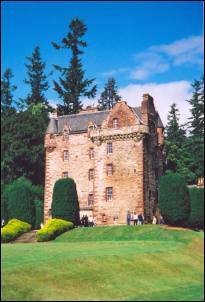 Castle Leod is the seat of the chief of the Clan Mackenzie, the Earl of Cromartie. 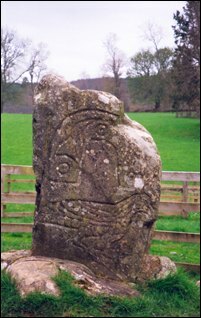 It can be seen from the roadside on the edge of Strathpeffer just after the Eagle Stone. Guided tours are usually given on certain scheduled afternoons from April to August (contact: 01997 421 264). Private tours of the castle are also available by appointment only. The castle can be hired for weddings. It is widely considered to be the inspiration behind Diana Gabaldon's Castle Leoch in Outlander. You will see a strong contingent of Mackenzies at the annual Strathpeffer Highland Games in August. For information about Mackenzie events in this area, click here. The Community Centre hosts a Village Market (usually on the first and third Saturdays of each month) from 9.30am to 12.30pm, with stalls of local produce, arts and crafts. Tel: 01997 421989. If you go in the field off Nutwood Lane, you'll find the Pictish carved Eagle Stone. Although it has been slightly moved from its original position, it is thought that the stone may have marked the territorial boundary between the 'eagle people' (who later became the clan Munro) and the 'deer people' (who became the Mackenzies). Linnmhor House is a refurbished Edwardian villa with 3 bedrooms offering B&B accommodation in the village (contact Rona and Michael MacKenzie - tel: 01997 420072). There are many local walks including one to Knock Farrel (an Iron-Age vitrified fort) and the modern Touchstone Maze (81 stones representing different types of rock from Scotland). Picturesque village where accommodation includes Coul House Hotel (built in 1821 as a shooting lodge for Sir George Stuart Mackenzie). Excellent meals including afternoon teas. The garden has a fantastic Fairy Trail. 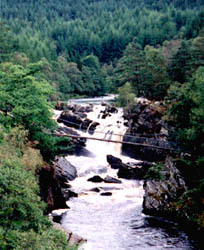 Close to Contin are The Falls of Rogie - a waterfall with suspension bridge by the side of the road to Garve & Ullapool. There are several signposted forest walks here depending on which car park you reach first (whether you are driving from Inverness or from Ullapool). Picnic site and toilets. From here you can drive westwards across country to Ullapool & Wester Ross. Alternatively you can head north through Strathpeffer & Dingwall towards Tain (see below) and Sutherland & Caithness. Dalmore Distillery produces a refined Highland malt. The distillery is located half-way between Dingwall and Tain, just off the A9 and is on the shore of the Cromarty Firth overlooking the Black Isle. Visitors are very welcome. Guided tours are available Monday to Friday and the maximum group size is twenty. To book a tour telephone the distillery direct at +44 (0) 1349 882362. Archaeologists working here have discovered the first known Pictish monastery in the Highlands. Probably built in the 8th century, it may have housed 50 people. Over a hundred pieces of carved stone have been found. There is a carved stone featuring 4 clerics and 2 fighting lions, plus carvings of a cow, bull and calf. The team from the University of York have also uncovered items ranging from the 2nd to the 16th centuries. 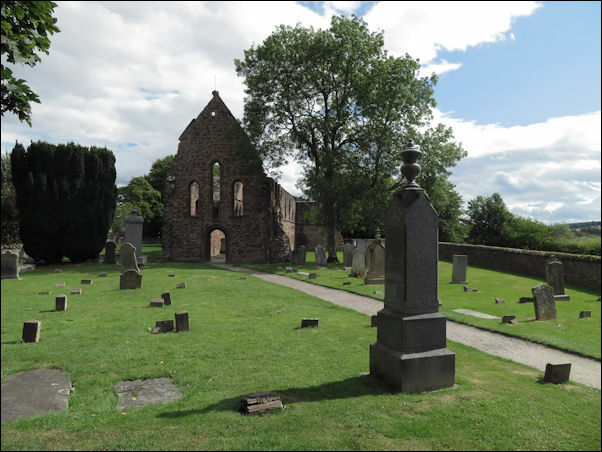 Beneath Tarbat Old Church in Portmahomack, over 400 skeletons have been found dating from the 7th century. Information about these is contained within the Tarbat Discovery Centre (telephone 01862 871 790). Opening times are as follows. Open 10am - 5pm Monday to Saturday from Easter to September, plus Sunday afternoons June to September. Also open daily in October - afternoons only. Group visits at other times can be booked by appointment. Admission charge (free for children under 12). For detailed online info about the archaeology of this site, visit the pages by York University. For B&B accommodation in Portmahomack, visit Wentworth House, a former manse set in 2 acres, situated on golf course next to the Pictish archaeological site and only 2 minutes from the beach. Contact Monica Elliott (phone 01862 871897). Explore these villages (Shandwick, Balintore and Hilton) along the Easter Ross coastline and follow the Sculpture Trail. There are 5 works of art celebrating Fishing, Faith, Fortitude, Folklore and the Four Corners of the Earth. This includes the Mermaid of the North which sits on a rock known as Clach Dubh (black rock in Gaelic) by the shore in Balintore. Originally made from wood and resin by Steve Hayward from Hilton in 2007, but damaged by a storm in 2012 and replaced with a bronze cast model. The Seaboard Centre in Balintore has a cafe (open Tuesday to Saturday) and local info (tel: 01862 832 888). Annual events include the Seaboard Gala (July) and the Fisherfolk Festival (June). 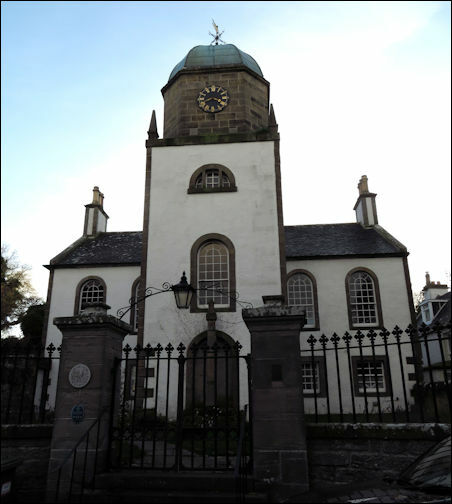 Scotland's oldest royal burgh (with a charter dating from 1066) has many historic buildings including the acclaimed Tain Through Time Visitor Centre. In addition to the town's numerous shops and restaurants, other places to visit include Tain Silver and Tain Pottery. Annual events include the Tain Gala and the Tain Highland Gathering. For detailed local information visit the Tain community web site. Tain has free public WiFi thanks to Highland Council. Log on with your social media details or by entering your email address. While in the area, you may wish to visit Glenmorangie Distillery and Tain golf course (famously designed by Tom Morris). Local accommodation includes Hamilton Cottage which offers self catering accommodation for 2 on a working farm 5 miles south of Tain (tel: 01862 863007). and was home of the Chiefs of Clan Davidson. Situated on the edge of the market town of Dingwall. Breathtaking views. 15 miles north of Inverness. 4 Stars. Recommended by Cond� Nast Johansens. Elegant candlelit restaurant. Whisky bar. Ghost tours to explain the history of the 'Green Lady'. Reception hall with ornate ceiling, wood panelling, log fire. each with its own unique charm and character. Many bedrooms have views over Dingwall & the Black Isle. Baby-sitting and room service available. Spacious modern bungalow with lovely countryside views. Family home with very warm Highland welcome. Located on the edge of Muir Of Ord. 12 miles west of Inverness. 1 mile north of Beauly. 10 miles from Strathpeffer. 15 miles from Drumadrochit & Loch Ness. Ideal for touring. 4 Star quality. 3 bedrooms: 1 4-poster double, 1 twin, 1 family room. All with ensuite bathroom, TV, hairdryer, hospitality tray. Plenty of off road parking. No smoking. La Gu�a del Trotamundos, Trotter-Schottland, Routard-Scozia. Locations include Strathpeffer, Fortrose, Cromarty.